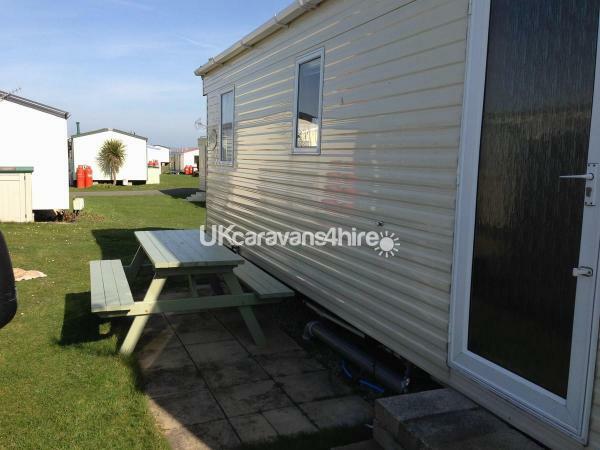 If you would like to book our caravan a £100 non refundable deposit will be required to secure your booking. Also an additional £50 key and damage deposit will be required but is returned after the holiday. 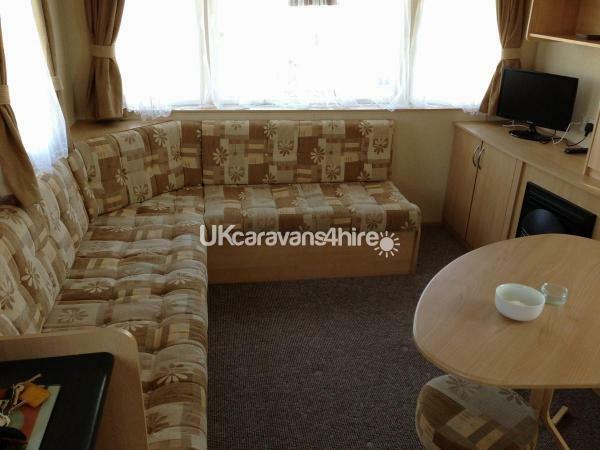 Please note that although this caravan has two bedrooms and will accommodate 4 people comfortably, there is a fold out bed in the lounge, which could offer accommodation for a maximum of 6 people if required. Duvets and pillows are provided for 4 people - extra duvet and pillows would be needed for more than 4. Large open plan lounge/dining room This room has plenty of comfy seating and a dining table, plus a TV with Freeview, a gas fire within the lounge if needed and storage cupboards. 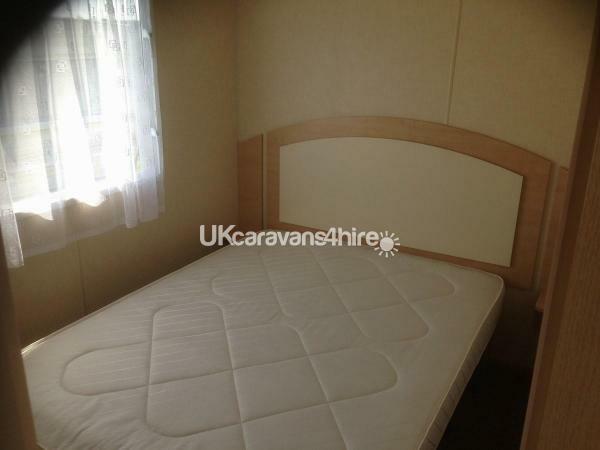 Fully equipped with a gas cooker, fridge with a small separate freezer compartment, kettle, toaster and microwave, plus cutlery, crockery, cooking saucepans and frying pan but very basic so may want to bring some extra. The master bedroom has a double bed and fair sized wardrobe. 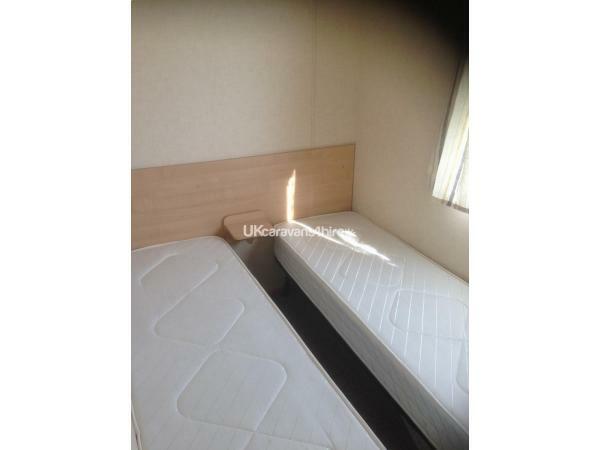 This is a twin bedroom with 2 single beds and a small wardrobe. 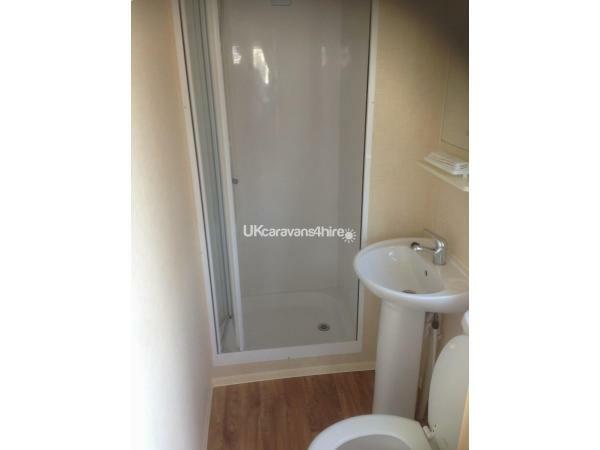 Includes a shower cubicle, sink and toilet. Outside there is a grassed area for parking. You will also find a picnic table and rotary washing line. 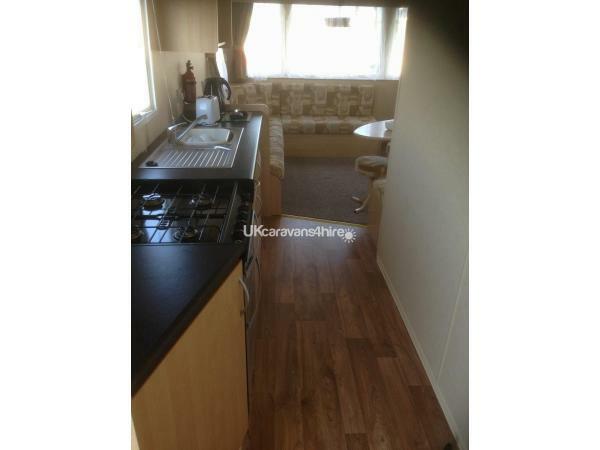 We also provide a hoover and some other cleaning facilities to keep the caravan clean. 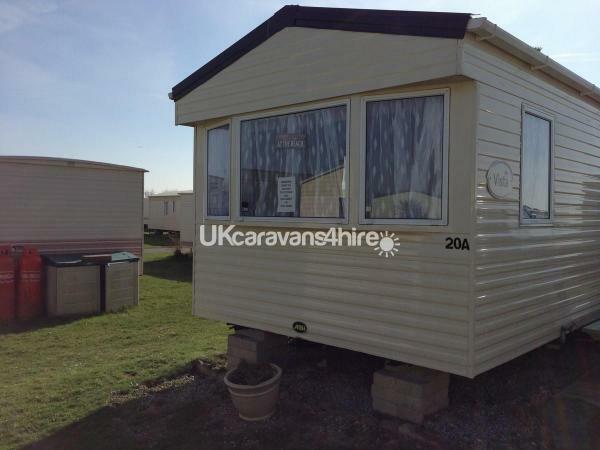 If you would like to book our caravan a deposit will be required to secure your booking. Also an additional £50 key and damage deposit will be required.